Newly renovated and pristine 3 bedroom, 2 full bath residence with full eat in kitchen, covered porch in front and deck in the back. Located in great location in Williamsburg, 5 minutes to Jamestown, 8 minutes to Colonial Williamsburg, in the heart of the Historic Triangle. Sleeps 6, and all comfort amenities included. Completely private, fenced property. Convenient and comfortable family location. Short & Long term rentals welcome. NO SMOKING, Inside the house and front porch, help us keep the house super clean. Bedroom one: full bed, dresser, closet,TV. Kitchen: toaster, natural gas stove and oven, coffee maker, all the utensils, house ware etc. ENJOY: Colonial Williamsburg, Jamestown Settlement, Historic Jamestown, Yorktown Victory Center, Busch Gardens and Water Country USA, Go Ape Treetop Zipline course, Williamsburg Winery, College of William & Mary, Prime Outlets. Great location. Nice neighborhood. Minutes from all attractions. After a long day of touring local attractions or visiting loved ones, enjoy a refuge where you can rock on the front porch, cook a simple dinner, watch a movie, and get a great night's sleep to be ready for another day of exciting history and entertainment. Shopping amenities (grocery store, Starbucks, drug store, take out, gas station) within a couple of blocks. Private house all to yourself, and ample parking. What a quaint and clean house this was. Would definitely return! A great experience. The house was very close to the attractions in the area. Everything was clean and ready for our arrival. 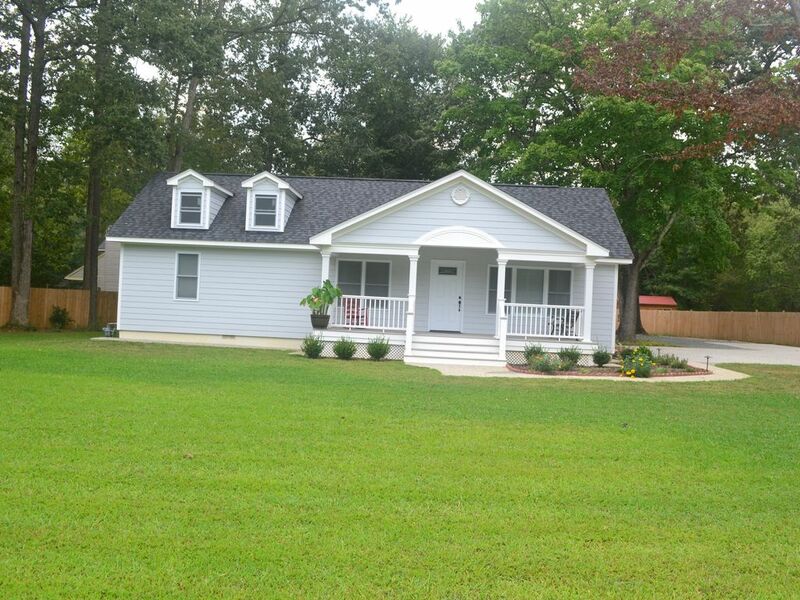 This house is set up perfectly with a great back yard and is close to everything Williamsburg has to offer. Armando was very accommodating and easy to get a hold of. Can’t recommend it enough! The house was conveniently located near activities. We appreciated the cleanliness and lay out. We chose to visit during an early spring break, and this was a great house in a good location for seeing sites in the historic triangle. Colonial Williamsburg and Jamestown were less than 15 min. away, and Yorktown less than 30. The location felt private yet safe, with easy access to food, shopping, and gas stations. The home itself was very comfortable, with so many details thought out to make your stay easy -- labels on the light switches, for example, were so helpful! We stayed with two children, one of them a toddler, and it was perfect for a family. Having two bathrooms, one with a walk-in shower an the other with a tub/shower combo, was especially convenient. We would absolutely stay here again! Thank you so much for your kind works and review, we are looking for you new visit in colonial Williamsburg.